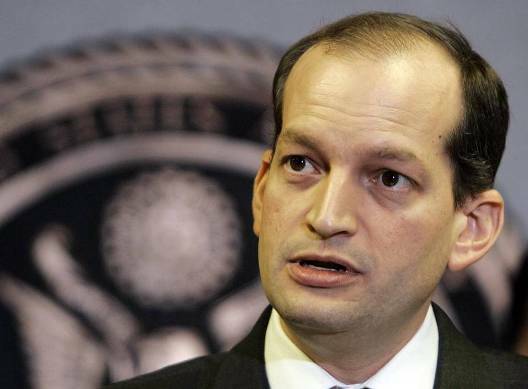 The US President, Donald Trump, has nominated Hispanic lawyer Alexander Acosta to head the Labor Department following the resignation of Andrew Puzder to qualify for that role, according to several television networks. Trump plans to do the announcement at a press conference that he has hosted this afternoon from the White House. Acosta will be the first Hispanic to join Trump’s Cabinet. Born in Miami, Florida, Acosta holds a bachelor’s degree in law and economics from Harvard University. Acosta was a member of the National Labor Relations Board, served as an attorney in the Civil Rights Division during the administration of former Republican President George W. Bush and, most recently, was dean of the Florida International University college of Law. Andrew Puzder withdrew yesterday his candidacy to lead the Department of Labor after the numerous criticisms received by Republican and Democratic senators for his business and personal history. At age 66, Puzder was scheduled to appear at a confirmation hearing today before the Senate Education and Health Committee. His decision came after Republican Senate leaders have urged the White House to withdraw Puzder nomination because he did not have the necessary votes to approve his nomination.